Although I, like Leguizamo, grew up in Queens—the most diverse borough in New York—I seldom saw myself reflected in history textbooks, perhaps part of the reason I disliked the subject. At the age of 13, like Leguizamo’s son Lucas, I would have likely had difficulty with a project on Latinx heroes—those two words weren’t placed next to each other in our lexicon. 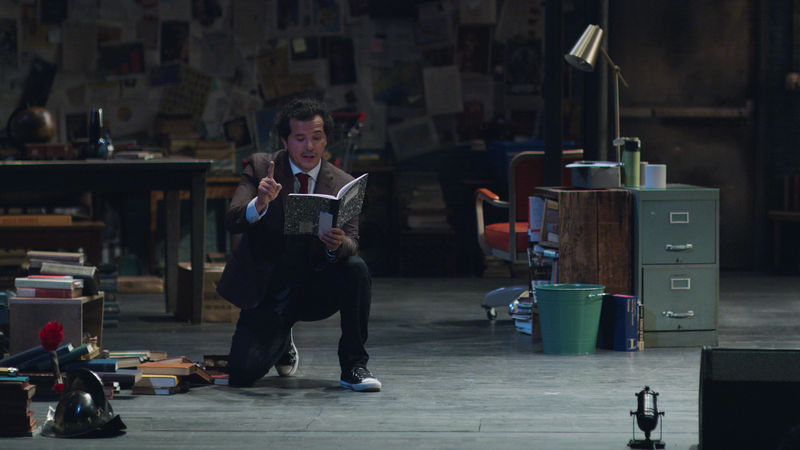 Leguizamo, who’s Colombian American, has crafted a one-man show that’s as entertaining as it is educational—and often infuriating. Leguizamo occasionally lightens the mood with tongue-in-cheek jokes like, “Conquistadores were like NBA players at a Kardashian party.” Doing the seemingly impossible, he helps viewers swallow tough truths by coating them in comedy. He’s the self-professed ghetto scholar we all wish we had in grade school, even if the show isn’t necessarily kid-friendly—profanity, sexual gestures, and epigrams abound. Still, this is a handy tool for older teens, adults, and parents—and not just those of Latinx heritage, but from all backgrounds. Although he packages as much as humanely possibly in the time he’s given, Leguizamo’s history class is not an end all, be all—it leaves out pieces of Central American history I would have liked to see—but rather serves as a starting point, and he’s the perfect educator for the task. In the middle of the show, my mom wondered out loud, “El no se cansa?? ?” Does he not get tired? “For some, excavating the past isn’t an adventure,” Raquel Cepeda wrote in Bird of Paradise: How I Became a Latina. “It’s more akin to tearing a Band-Aid off an open wound.” In order for a wound to fully heal, you have to rip it off. Leguizamo’s scathing educational program at least makes the past somewhat digestible. John Leguizamo’s Latin History for Morons is currently streaming on Netflix.